are those that connect you with the essence of a place & it’s people. This is our guide to people and experiences to help you plan your Langhe adventure. We seek Love & Passion, Dedication & Devotion in all that we recommend and offer. 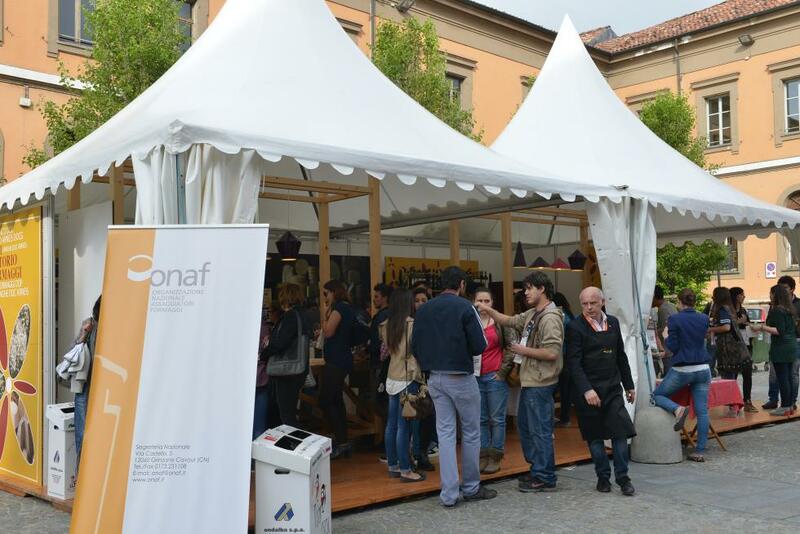 In the historic city center of Alba, this festival celebrates the beginning of Spring and the promotion of local wine with many interesting opportunities to learn and taste, including various workshops. An excellent wine festival!! For more information on booths, partecipating wineries & workshops and to purchase tickets click on the link above. Special Dinners with accompanied Tastings of the new releases from the wine Producers of Barbarescp. 55€ to 80€ apx per person.Reserve at participating restaurants in and around Barbaresco. A Festival to celebrate the Mischievous Spirits that local Folklore says lives under the Hazelnut Trees. Concerts, dancing, Tarot Readings & lots of scary brew!! Right here in Sinio under the Castello! The International Fair of cheese and dairy products in Bra, home of the Slow Food Movement and organized by them . Cheese producers from all over the world participate and offer tastings of cheese. Italy & France are particularly well represented but you will find artisan cheese producers from literally every corner of the world. It is a true celebration of great cheeses. Plenty of wine is available to accompany. For specifics info and tickets head to the official website (link above). 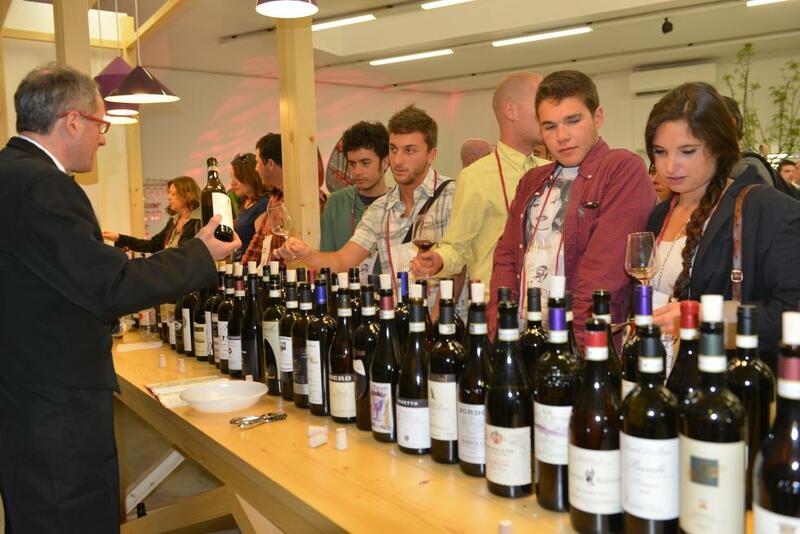 12 to 15 wine producers offer their Barolo every Saturday all month long in October. Alba & surrounding areas celebrate their precious White Truffle with a Gourmet Food Fair every weekend in Palazzo Tartufo. An incredible array of products, made with and without Truffles are presented by dozens or cheese, salumi, candy, pasta, bread,gelato and lots of other producers. There is also the Wine Pavillion and of course, the Truffle Hunter stand whose wares are presented & offered for sale by the Truffle Hunters themselves. Their truffles will be judged all week long for the highest quality, biggest & most beautiful. This month long festival celebrates more than the Alba White Truffle. 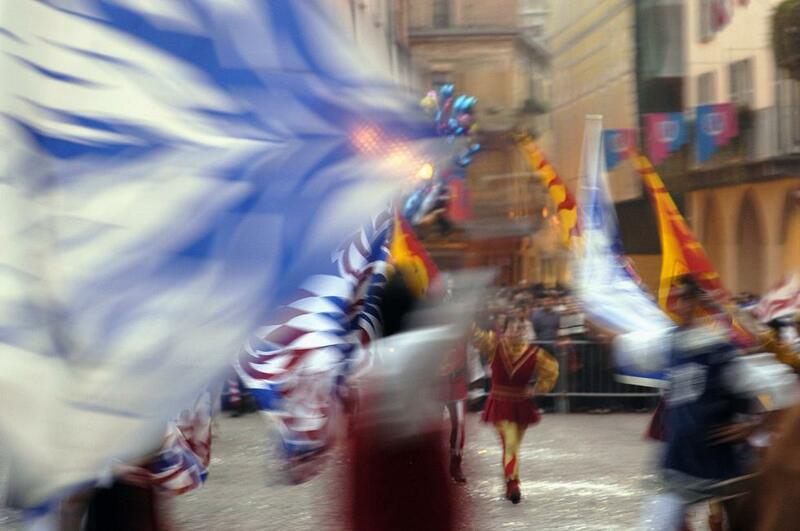 It also celebrates Alba's Roman & Medieval history and traditions with various parades, re-enactments and culminates with the Palio of the Donkeys. Head over to the official webstie (link above) for more specific information and this years upcomingdates and events. A wine festival celebrating the Alta Langa's DOC zone; held simultaneously with Borgomale's "Party Under the Castle"--the city's annual summer festival. The entire village of Barolo turns out for this SIT DOWN LUNCH in a heated tent of the 7 cuts of meat, chicken & cotechino sausage that makes up an official Bollito Misto, served of course, with accompanying salsas. In Alba as well the various villages of Le Langhe including Sinio all during the months of May,June & July as well as various other dates throughout the year. Concert schedules available at the hotel or on the official website (link below). An excellent, extremely high quality Music Festival, in conjunction with St. Mary's College in the US. Venues are medieval churches, castles & outdoor amphitheaters and artists are professionals, amateurs & students whose performances are truly inspiring. Markets - for Food and Truffles! Outdoor markets in Italy are still a regular way of life here. On market day everyone comes out to buy the freshest and best selection of seasonal produce, as well as everything else from hardware supplies to mouthwatering roasted chickens! Hours are from 8am to 1:00pm - so the early bird gets the worm!! Not to be missed are the Saturday morning market in Alba, the Tuesday morning market in Dogliani, and the Wednesday market in Asti. If you really want to see the truffle underground market you should go early to Dogliani on Tuesday mornings or Carru on Thursdays. If you speak a little italian you could ask one of the colorful old geezers, who seem to be loitering nonchalantly, if they have something interesting for sale. If your eye is not tuned to who is or is not a "Trifalau" or late night truffle sleuth, your nose will guide you! It really is not at all weird to slowly sashay past dapper octagenarians all the while sniffing the air heavily. The perfume of Alba white truffles is intense and intoxicating and it is easy to discern from whom the heady scent is eminating! It is so worthwhile to just drive around to the see the amazing scenery, dozens of medieval hill villages, Castles, House of Savoy Palaces, Churches and vistas unlike anything else in Italy. Go to How to Find Us to get good information on the area so you can plan your aimless wandering, which we higly recommend! Another of the Savoy hunting lodges, it is one of the best examples of the architect Guarini's work. It is located 25 minutes from Hotel Castello di Sinio and could make for an excellent half day excursion when combined with a stop in Bra to visit the headquarters of Slow Food. Visiting the Enotecas, is a great way to taste a variety of Barolos & Barbarescos without having to have an appointment and it gets you around the country side to visit the historic medieval wine villages which are extremely characteristic and evocative. The landscape from our hills is one of the most spectacular of our country. I'm originally from Tuscany, but I'll always remember the first time I gazed across these vistas. It literally took my breath away and I declared it more beautiful even than the Chianti. I still believe it is. Wines and food are better too and the area is more authentic! To understand the wines of the area, you must visit the individual villages from which they come from. The soil compositions & micro climates are different from village to village and they impart their particular characteristics to the wines. These are hallowed grounds; not visiting the villages and their Enotecas would be like going to Burgundy and not visiting Chassagne Montrachet or Escheveaux! The House of Savoy were the ruling family in Piedmont and Pollenzo was one their most important country castles and agricultural complexes. The main piazza is stupendous with the 13th century church on one side and the castle on the other. The church is a magnificent example of Baroque architecture and was restored during the 1600s by the House of Savoy. In the piazza are well preserved remains of Roman foundations and the original Roman built acquaduct still runs under what is now the Slow Food Wine Bank housed in a part of the restored castle. Besides the Slow Food Wine Bank the complex also houses the Slow Food University. Pollenzo is significant as it was the largest and most important Roman center during their 500 year occupation of Piedmont. Wine Museum in the Castle of Barolo. Called WiMu, this is not your typical museum about wine and is perhaps better described as a permanent exhibit dedicated to wine; the roll wine plays in our lives, wine through the ages, wine and what it means. The museum is very innovative and interactive and engaging for all ages. The museum was designed by the same folks that designed the famous cinema musuem in Torino,the Mole Antonelleniana. Sanctuary and Baroque Arcade build by King Carlo Albert I of the House of Savoy. A half hours drive through the beautiful and unspoiled countryside of the wine DOC called Monragelese, you will be rewarded by a wonderful pause in the small town of Vicoforte home to this Benedictine Sancutary and Church built by the House of Savoy. The church has the largest dome, larger even than Superga and merits an inside visit to see it't frescoed interior done by the leading artists of the time. Stroll through the Arcade which now houses many interesting shops, one in particular of unusual and high quality childrens clothing a great designer shoe store with discount prices and a very nice period cafe with good candy and food products to purchase. Very near to the Santuario di Vicoforte, Modoví is the perfect stop and stroll around. It is a good place to have lunch and enjoy the vistas of the greater part of Piedmont on a clear day due to it's strategic location on a very high hill that rises straight out of the Cuneo plain. Seen from a far as you are approaching from Alba or Asti it is beautiful and panoramic, set as it is, against the Italian French Alps with Mont Viso dramatically rising behind it. It is decidedly not a tourist trap and is reknowned throughout Italy for it's particular cuisine and wine, much less well known to foreign travelers. All throughout late October and November, there is a special food festival every weekend called Peccato di Gola. Bundle up in something warm and walk through the entire town visiting artisan food and wine vendors. You will truly feel like you are in Italy here! In Turin and in Susa interesting traces of the Roman Age can be found. The religious Romanesque-Gothic architecture is remarkable: splendid examples are the Abbey of Vezzolano, the Sacra di San Michele, the Abbey of Staffarda, St. Antonio di Ranverso, St. Andrea in Vercelli and other churches in Saluzzo, Chieri and Ciriè. The Baroque style has greatly influenced the appearance of most Piedmontese cities, especially in Turin, capital of the Dukedom of Savoy: Palazzo Carignano, Palazzo Madama, the majestic Castle of Stupinigi, the basilica of Superga, which rises on a hill near Turin are outstanding examples. But Sacra San Michele remains the number 1 MUST SEE of the all the castles, palaces, hunting lodges, churches, Basilica etc. The World Heritage Committee or UNESCO has inscribed all of the Residences of the House of Savoy as world heritage sites! There are dozens of impressive Savoia residences to see all throughout Piedmont; when Emanuele-Philibert, Duke of Savoy, moved his capital from Chambery in the Savoia in France to Turin in 1562, he began a vast series of building projects to demonstrate the power of the ruling house. Those building projects were continued by his successors and all of the buildings in the vast complex were designed and decorated by the leading architects and artists of the time. The magnificent works radiate out into the surrounding countryside, far and wide, from the Royal Palace in the “Command Area” in Turin (Torino) to include dozen of country residences and hunting lodges. Towering Basilica and mausoleum of the House of Savoy in Turin. The Basilica is impressive but maybe even more so the views down on to Torino and straight in to the face of the Alps. It is an amazing view!! In Turin, visitors should not miss a visit to the Royal Armory, one of the richest in Europe. Not to miss also is the Egyptian Museum, the second most important in the world after the one in Cairo. Torino's Eygtian museum is generally regarded as having some of the most precious remains of the ancient civilization that built the Pyramids. The Sabauda Gallery houses pictorial works of the Piedmontese, Dutch and Flemish schools, as well as some valuable works of the great Tuscans, such as the Beato Angelico and the Pollaiolo. In Vercelli the Borgogna Museum, which houses the works of the local Renaissance painters. In Alessandria the Civic Museum and the Pinacoteca deserve a visit. Asti’s art-gallery houses both fifteenth-century and eighteenth-nineteenth century paintings. Cuneo's Civic Museum gives particular focus to the local history and artistic tradition including the many mountain valleys that spoke out of Cuneo and in to the Italian French Apls. In Novara an interesting Epigraphic Museum can be seen in the fifteenth-century cloister of the Cathedral. Near Torino on the southern edge of the city, 40 minute drive. This hunting lodge is a magnificent example of of the works of Juvarra, the most important architect in Northern Italy. In Veneria on the northern edge of Torino. This stupendous hunting lodge and grounds were built by Vittorio Emmanuele II and have been undergoing renovations by the region of Piedmont to preserve the beautiful buildings, art and park with lake. This hunting lodge has some the best examples (and the most) of period furniture so it is a great destination for antique lovers. This festival is held during the agriculture and artisans fair of the city every summer. A horticultural and cultural festival celebrating vegetables.